It’s vital that you know what potentially lies ahead of you when you go after a particular career. Are there many jobs in this field for you to have a look at? Or, are you restricted to one role for the rest of your life unless you switch careers? Ideally, you want to find a career that opens many doors for you. This helps you keep things fresh as you can move from job to job thanks to the skills you possess. Some careers are so mentally demanding that they’re harder on your brain than your actual body. A few jobs that spring to mind are social workers, nurses, doctors, dentists, psychologists, and many more. You hear countless stories of burnout in social work, nurses being rundown, doctors barely getting any sleep, and so on. These jobs put a massive strain on your mental health, so this is something to very wary of. Of course, you can take steps to avoid putting too much stress on your mind, but if you’re someone that struggles with a great deal of mental pressure, then you may want to avoid careers that are mentally draining. Likewise, you need to look for the physical strain you’re put under in different careers. For example, someone with a job in the army will be under a lot more physical strain than someone working in the finance world. Naturally, this is very important as you may not want to do a job where you’re always being pushed physically. Or, maybe you do want a very physical job and choosing a career where you’re under a lot of physical strain is important to you! Regardless, this is definitely something to take into account. There’s no getting around the fact that money plays a key role in all careers. The way you see money will depend on where you are in life. For example, someone with a partner who works full-time and earns a good wage won’t see money as a major significance compared to someone who lives on their own and has bills to pay. The importance of money is relative to your situation, so bear that in mind. If you drastically need a job that pays well, then you have to start looking at careers where you can earn an above average wage. The next time you start thinking about going after a new career, I want you to think about all four of these things. Pick a career and look at the prospects, how mentally/physically demanding it is, and what the financial outlook is. 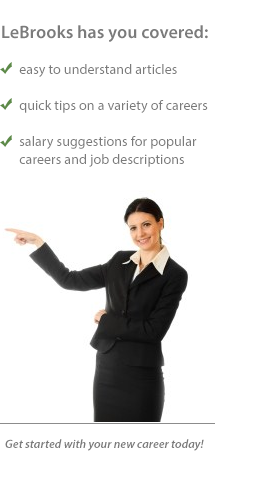 This should help you narrow down your search until you find a career that ticks all the right boxes for you!